Have you lost what it means to celebrate our Savior in the midst Christmas? It is so easy to lose focus as to the real reason for Christmas and the season with the commercialism and the general busyness of the time, not that it is all wrong and bad, it just is easy to lose out on the meaning. Melissa's created a cute little book that is filled with 31 devotional readings to help with keeping the focus while celebrating. Each reading is only a few pages and then some questions to reflect upon and these are then followed by a practical approach section. I love this layout to the book and that there is such a big piece focused on really applying this and using this in each of our lives, it makes it so much more personal and easy to implement than just having a reading to complete on the topic. I am looking forward to really taking my time and working through this book in the month of November as it will help me to be in the right mindset and focus by the time December arrives. 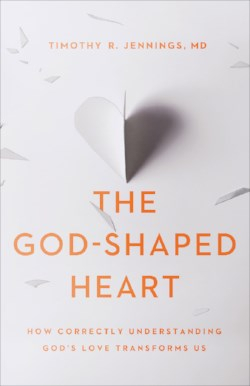 This book is an in-depth look at who God is and understanding His love and how this directly impacts each of us personally. Jennings really does a great job with exploring this topic as he ties in research, examples from the media and society today along with Biblical accounts. While there is so much information included in this book, I first thought it was going to be a little overwhelming and "heavy," but the chapters are divided nicely and there are charts, lists and a review of key points at the end of the chapters which help to break the information down into smaller pieces and make it less intense. This is a great book to read if you feel as if there is more to how you are living life and want a clearer understanding for who God is and His love. a gorgeous book filled with amazing photos and ideas! This book is absolutely gorgeous! I could sit down and page through it for hours! It is filled with 60 various projects that you can do to really make your house, your space your own. The book is divided into sections, each section being a different area of the house including entry way, kitchen and closets to name a few. Each section is further divided by each specific project. The steps needed to complete each project are very specific and in my opinion well-written making it very easy to work through a given project from start to completion. There are so many photographs included of the projects at various stages as well as the photographs of the completed projects. This book is so inspiring and makes me want to really dive into various rooms of my house and do little things here and there to make it more inviting, more pretty, just more me. I highly recommend this book if you are looking to make changes to your home, your space or just want to see various ideas and projects just in case you may perhaps want to make a few changes or need some help getting started! "A Woman Overwhelmed" is a phrase with which many women can relate. But what would happen if we could see the insanity in our pace and embrace our overwhelming God? In A Woman Overwhelmed, best-selling author Hayley DiMarco shares biblical insights and personal stories to offer a glimpse at the comedy of an overwhelmed life while encouraging us to discover the depths and heights of God's love and power. Be empowered to find freedom in becoming overwhelmed with who God is-by learning to focus on what we know about God so that we can hold onto faith even when it seems that all is lost. For it is when an overwhelmed woman gives up the mission of me and exchanges it for the mission of God that being overwhelmed becomes a good thing. Hayley DiMarco is the best-selling author of more than 40 books, including multiple books in the God Girl line, "The Fruitful Wife," "Obsessed," "Die Young" and "Own It." As the founder of Hungry Planet, a company intensely focused on feeding the world's appetite for truth, DiMarco speaks regularly for women's groups and events, including Women of Faith, dotMOM, Precept National Women's Convention and MOPS International. Hayley and her pastor husband, Michael, live outside Nashville with their daughter and four dogs. I loved, loved, loved this book, just what I needed to read! The chapters are short and to the point and then the reading is followed by questions for personal reflection. I love the layout of the book for this reason, it is in-depth, but it doesn't require a lot of time to work through the reading and questions because honestly no one has time for that during the busyness of the day. This is the prefect book to pick up at any point throughout the day to read through and then think about and reflect on the questions. I highly recommend this book for all women to read as it is inspiring and uplifting. This is such a great book! First of all, it is a pocket-sized hardcover book so this can be read anytime, anywhere. Set up as a book to work through over the course of 50 days, there are 50 short chapters, just a few pages to each chapter, but filled with so much wisdom! Edward begins with discussing how anger is an ordinary thing, an everyday piece of each human. To be human is to become angry. However, how this emotion is handled and dealt with has such a big impact on our day, each and every day with our relationships with others, our own well-being and mindset. On the flipside of this is peace, and the question is asked why should we pursue peace instead of anger? Of course, this is not easy at all and will take patience and work. Edward has designed this book with that in mind, several days (50 to be exact!) to work through and be on this journey. Therefore, there is very little to do each day, but just one or a few concepts to ponder and ask of ourselves and to really meditate on during that day. Also, there are questions interspersed to ask of ourselves, but can also lead to great conversations with others. I highly recommend this book to anyone who is seeking to have more peace than anger in your life, relationships and just overall for yourself. "Deadly Proof" is the first book in a new series by Rachel Dylan and it is a must-read for those whom love suspense and/or legal thrillers! Kate is assigned to a new case as the lead attorney and she knows this is a big deal and much at stake after a death occurs of someone closely involved. When attacks start being geared toward her, she knows she need to do something. Landon is hired by Kate to look into the allegations that were made about the company and he finds himself enthralled by not only the case but Kate as well and knows that he needs to help her with what he was hired for, but he needs to keep her safe as well. This is fast-paced and twists and turns throughout as the stakes get higher and more details are leaked to the reader bit by bit. I absolutely loved the characters in this book and cannot wait to read book #2! I highly recommend this book! I absolutely love the layout of this Bible as it is so easy to really use it how you would like to with studying the Bible and getting to know God and who He really is as far as what style you prefer. There is the approach of reading through each book of the Bible and studying book by book, or it could be by topic. The topical approach is nice if you are struggling in a certain area, need guidance or clarification on a specific topic or just want to learn more. Personally, with this Bible the verse by verse approach is what I love. I feel like a great job was done in this area as verses are really broken down word by word in most cases so that a clear understanding can really be gained and an in-depth study. With so many notes included throughout the Bible is still a clear layout and the pages do not look/feel overwhelming at all to me, the verses and notes are spaced nicely. I highly recommend this Bible if you are looking for a new study Bible to use in personal study or even in a group setting. Almost seventy years later, the mystery remains unsolved and the secret guilt Hazel carries has alienated her from her daughter Diane, who can't understand her mother's overprotectiveness and near paranoia. While Diane resents her mother's inexplicable eccentricities, her daughter Meghan-a cold case agent-cherishes her grandmother's lavish attention and affection. When a traffic accident forces Meghan to take a six-week leave-of-absence to recover, all three generations of DeFord women find themselves unexpectedly under the same roof. Meghan knows she will have to act as a mediator between the two headstrong and contentious women. But when they uncover Hazel's painful secret, will Meghan also be able to use her investigative prowess to solve the family mystery and help both women recover all that's been lost? "Bringing Maggie Home" is such an amazing story of healing, mystery and love. This novel spans about 70 years beginning with a horrific event when Hazel is 10 years old, and then moves on to when Hazel is a grandmother and three generations find themselves living under one roof. What happened in just a few moments when she was so young has impacted Hazel's relationship with her daughter, but it has impacted, although seemingly in the opposite way, her relationship with her granddaughter. When Hazel reveals why she lives life the way she does, Meghan is determined to solve this cold case and hopefully bring healing to her family. I loved this book, it was such a powerful read. I loved the mystery/cold case aspect of it, but also how this one incident has molded Hazel's life and her relationships as well as leading Diane to feel and behave the way that she does. Meghan is such a strong individual and my favorite of the three women. This is a wonderful mix of historical and contemporary Christian fiction along with being a suspenseful novel and yet also women's fiction, a nice mix of so much, so it will appeal to all types of readers! I highly recommend this book be added to your to be read pile! As any parent of a tween, teen or 20-something knows, adolescents take risks. In fact, those aged 12-26 are hard-wired to take risks, but how do you combat these natural impulses? In Born to Be Wild, Jess Shatkin brings more than two decades' worth of research and clinical experience to the subject, along with cutting-edge findings from brain science, evolutionary psychology, game theory, and other disciplines -- plus a widely curious mind and the perspective of a concerned dad himself. Adolescents are genetically engineered to prioritize emotions over logic: Teens make risky choices for social acceptance and to avoid emotional pain. If a peer is watching, even a peer they don’t know, adolescents are more likely to take risks. Teens know that they’re not invincible. In fact, studies have shown that, when teens engage in risky behavior, they often overestimate their chances of being harmed by that behavior. Improving parenting practices and increasing parent monitoring can help halt high-risk behaviors: Shatkin shares Parent Management Training (PMT) techniques that emphasize tactful praise over remonstrations of how not to behave. Supportive families benefit the brain: Studies show teens raised by parents with low levels of conflict in their homes have less demanding brain reward centers; these teens will engage in less risk-taking behavior because their interpersonal relationships are rewarding. Ironically, even though adolescence is a risk-taking time, it is also a time of incredible potential. In Born to Be Wild, Shatkin shows what parents and teachers can do--in everyday interactions, teachable moments, and specially chosen activities and outings--to work with teens' need for risk, rewards and social acceptance, not against it. This book is an excellent resource for parents, and professionals working with children and teenagers. Seriously, Shatkin addresses so many things throughout this book, including social media, the idea that teens think they are invincible and peer pressure, just to name a few topics. Some humor is sprinkled in as well as personal anecdotes, along with the research, the lists and the facts. This is an easy book to read as it flows so nicely and is neatly divided into chapters, making it also a great resource to go pick up and read a section that pertains to the moment or season in life. This is such a tough time in a person's life, but it can also be rewarding and a time of learning with good supports. I highly recommend this book! Nationally recognized child and adolescent psychiatrist Jess P. Shatkin, M.D., M.P.H., is one of the country's foremost voices in child and adolescent mental health. He serves as Vice Chair for Education at the Child Study Center and Professor of Child & Adolescent Psychiatry and Pediatrics at New York University School of Medicine. He has been featured in top print, radio, TV, and Internet outlets, including the New York Times, Good Morning America, Parade, New York Magazine, Health Day, CBS Evening News, New York Daily News, Wall Street Journal, and the Los Angeles Times. In addition, for the past eight years Dr. Shatkin has been the host of "About Our Kids," a two-hour call-in radio show broadcast live on SiriusXM's Doctor Radio. He lives in New York City with his wife and two teenage children.